Launch List Using your notes find….. 3 examples of flexible government What was the Electoral College? How many steps are there in impeachment? 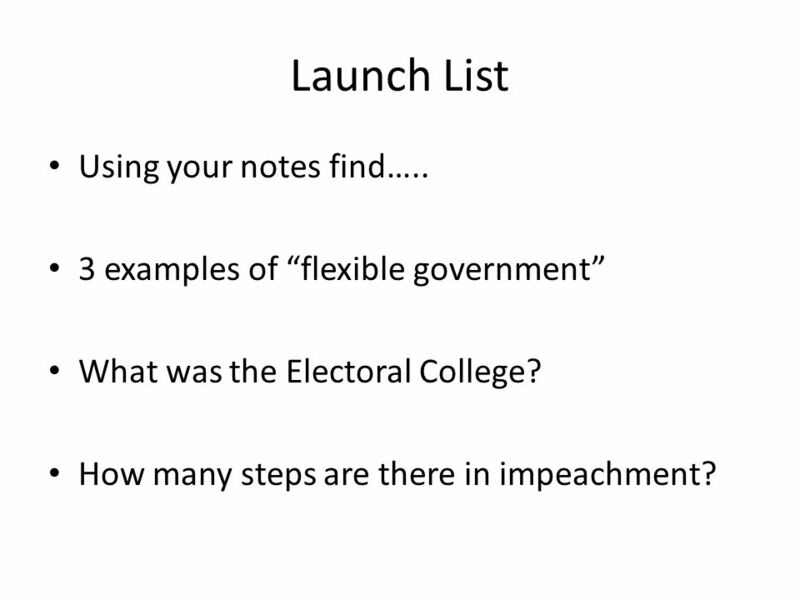 1 Launch List Using your notes find….. 3 examples of flexible government What was the Electoral College? How many steps are there in impeachment? 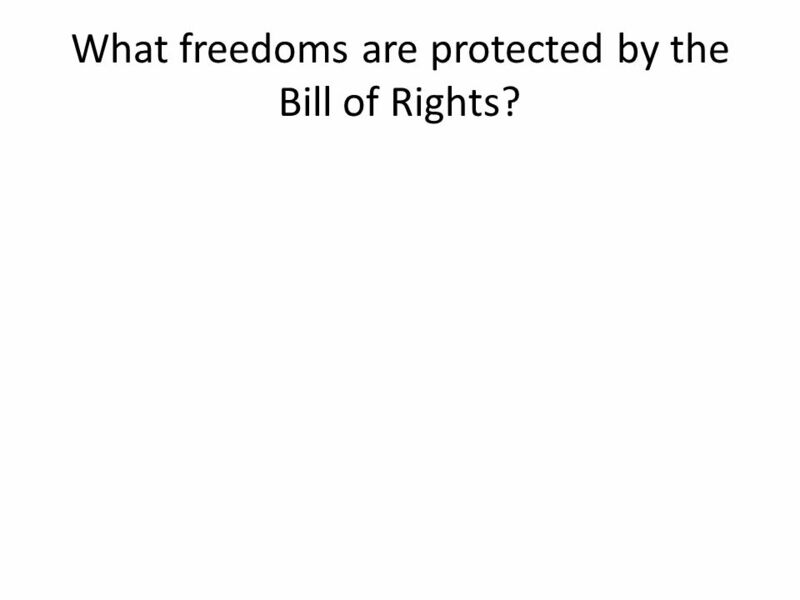 2 What freedoms are protected by the Bill of Rights? Download ppt "Launch List Using your notes find….. 3 examples of flexible government What was the Electoral College? How many steps are there in impeachment?" The first ten amendments to the Constitution of the United States. 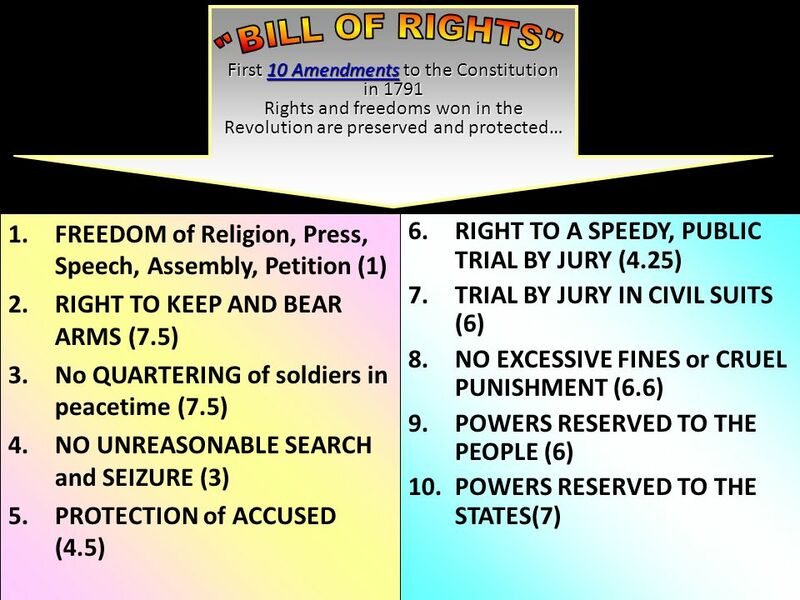 Bill of Rights 1 st 10 Amendments Created to protect individual rights!  What is the purpose of the Bill of Rights?.  How does the Bill of Rights affect our lives?  What if there was no Bill of Rights?  How does the Bill. The First 10 Amendments to the Constitution on (Sung to the tune of the “Twelve Days of Christmas”) The Bill of Rights Song. Week 23.  freedom of religion, speech, the press, assembly, and petition. THE BILL OF RIGHTS. 1 st Amendment A. Freedom of Speech A. Freedom of Speech B. Freedom of the Press B. Freedom of the Press C. Freedom of Religion C.
Bill of Rights Notes for MT. 1, LT. 3. The Ten Amendments to the US Constitution. Amendment 1 O Protects the freedom of religion, speech, and the press, as well as the right to assemble and. Bill of Rights. There was still many debates about the constitution There was still many debates about the constitution Federalists- pro constitution.